This series of episodes effortlessly demonstrates Doctor Who’s ability to weave varied story elements together seamlessly. The brilliance of the show really shines through. It may be a little tough for a New Whovian to handle the slower pace, lack of quips and the horrendously under budgeted production. I promise that if you stick with it you will quickly recognize all the things that make Who great. Classic Doctor Who, especially the William Hartnell era, is often criticized for its lackluster sets and goofiness. A lot of people find it hard to take seriously. A cursory glance would lead you to believe that this stigma is always true. Even this series, on the surface, appears to fit this cynical description. Maybe the sets aren’t spectacular. Maybe watching a bunch of Englishmen play citizens of central Mexico requires a real stretch of the imagination. Sure, there aren’t any giant monsters to run away from. No, The Doctor isn’t blowing things up with his sonic screwdriver. None of that matters. The performances are true to their characters. The sets communicate all you need to know about the setting. The antagonist is threatening enough without the need of monstrous features. And The Doctor gets along perfectly well with his intellect. 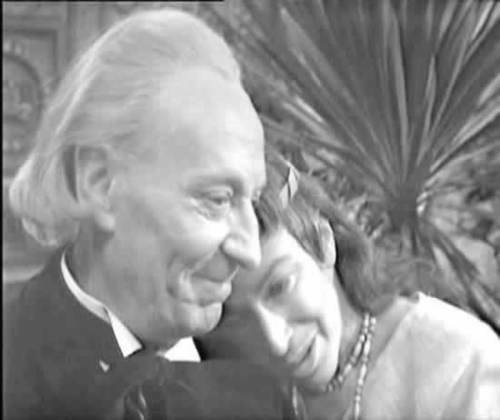 William Hartnell gets a bad rep for being a grumpy, unpleasant Doctor. Well, he is a lot of the time. I’ll admit that. There are other facets to his performance however. Here you see him being stern with the companions, who keep making their bad situation progressively worse. He’s a subtle detective. And quite charming. Before watching The Aztecs I had a little trouble investing in his Doctor. Now I see how he opened every door possible for his successors to explore in their performances. What surprised me the most was the maturity. Everything here is played straight and is in no way watered down for its younger viewers. Practically every conversation centers around the importance of human sacrifice. Barbara’s moral dilemma over using her being mistaken for a God to change The Aztecs traditions and reliance on spilling blood was genuine. She must learn the hard way that you can’t tamper with time or attempt to change a civilization just because you see their practices as barbaric. It was done through a natural progression of events. Never did anyone get preachy or pander to the kids they were trying to teach. Instead they allowed the story to unfold and speak for itself. Doctor Who was first conceived as an educational adventure program to teach kids about history. Kind of like The Magic School Bus (which was more about science, now that I think about it.). Of course that aspect to the show sort of fell away in favor of more strait forward adventure. In The Aztecs the history lesson is very prominent. The writers were clever about it though. The Doctor probes citizens for imformation about sneaking into a tomb where the Tardis is locked away, and is given bits of information about their architecture and currency in the process. Susan is forced to take lessons at a monastery on the Aztec way of life. Ian was sent to the military. Because the executioner,Tlotoxl, believes she is a false God, he periodically subjects Barbara to questions about their religion. Being a history teacher, she answers them without a problem. Not only did this serve as an educational device, it was also perfect for setting the time, place, and world their trapped in. 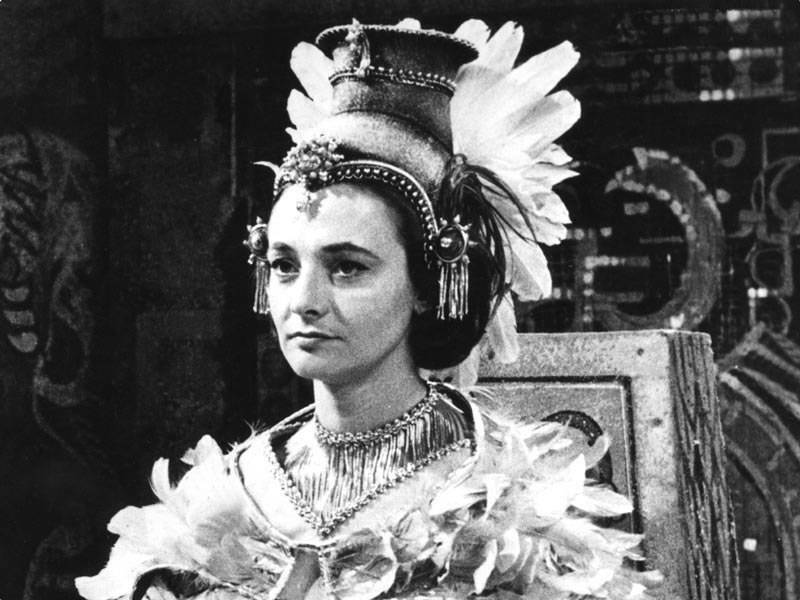 One of my favorite things about the early years of Doctor Who is the theatrical mentality of its production. I could have easily been watching a play. There is something so fun about that for me. Instead of spelling everything out to you with overly detailed imagery, the show takes a risk and asks you to participate in the storytelling by giving you just enough, visually, to create a more expansive environment in your mind. The Aztecs is great if you’re still relatively new to Who and want to see where it got it started. I’m crazy excited about the next title on the Netflix list. It’s one of may favorite doctors, Patrick Troughton, in one of his best stories: The Mind Robber. Give it a watch and swing by here next week to see what I have to say and share your thoughts. 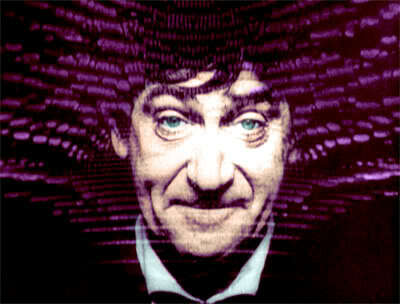 The Doctor will return in The Mind Robber!